This set of 12 stamps shows position concepts that can be difficult to teach the younger student. Included are left, right, above, on, off, front, back, over, under, top, and bottom. 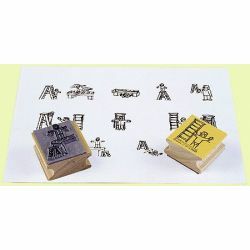 Students will enjoy using the stamps because the cute character helps them to learn the concepts.